this purpose 2018 must be stated as the year of first publication in the book). The aim of the award is to stimulate interest in Greek history and culture from earliest times to the present; to promote wider knowledge and understanding of Greece, ancient, medieval and modern, Greece’s values and contribution to civilization; and to encourage good and accessible writing, of which Sir Steven’s works are an example. Books submitted must fall within this framework of subject matter. No category of writing will be excluded from consideration. The prize may be awarded for a work in the field of history, literary studies, translations from Greek literature (of any era), biography, travel and topography, the arts, architecture, archaeology, the environment, social and political sciences or current affairs; or for a work of fiction, poetry or drama, provided that it meets the criteria above. Works in translation, with the exception of translations from Greek literature, will not be considered. 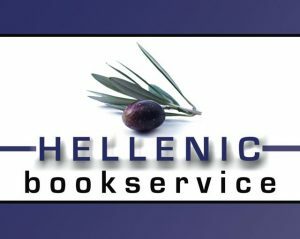 The Council of the Anglo-Hellenic League and the panel of judges ask publishers to take a fresh look once again at the range of books they are thinking of submitting. We welcome books representative of all periods of Greek history and culture from antiquity through to our own time. Books on recent history and contemporary Greek life are still disappointingly scarce in the Runciman field. We welcome books representative of all the categories of writing eligible under our rules (above). A look down the list of recent winners might suggest that preference is being given to academic writing. Excellent academic works have been prominent in the field over the past few years; not so many works of drama, fiction, travel writing and current affairs have been put forward. Our judges will always look with particular interest at books that have a potential attraction beyond the specialist and academic, of interest to the general reader. the RRP of each submitted book should be indicated on the entry form. awarded, whether to one work or more than one, is the responsibility of the judges, whose decision is final. It is a condition of the award that shortlisted books should be available for purchase to readers in the UK at the time of the award ceremony (13 June 2019). Publishers of shortlisted books will be notified by the Anglo-Hellenic League. Publishers are requested to send a copy of each work they wish to submit to each of the judges at their individual addresses, plus a copy of each book together with entry form (click on the link to view) to Dr Richard Carden. N.B. Click on the links for information about the books that were short-listed for the 2018 award, and the two prize winners, and about the judges for 2019.